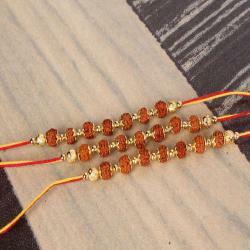 Product Consists: Royal Tiny Pearl Beads Rakhis Set of Three for Brothers nicely tied on a designer Card. 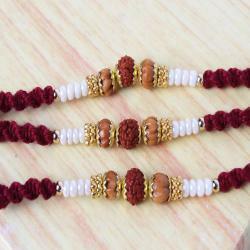 Three beautiful pearl Rakhis set made especially for your loved one to cheer the occasion of Raksha Bandhan. Royal tiny pearl beads embedded on the dial with moti and golden beads looks amazing. 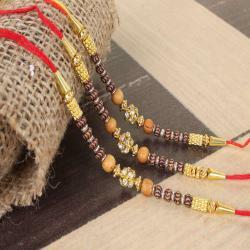 The look of the Rakhis is such that it will grace up the wrist of your loved one with its unique style and the love hidden in it. 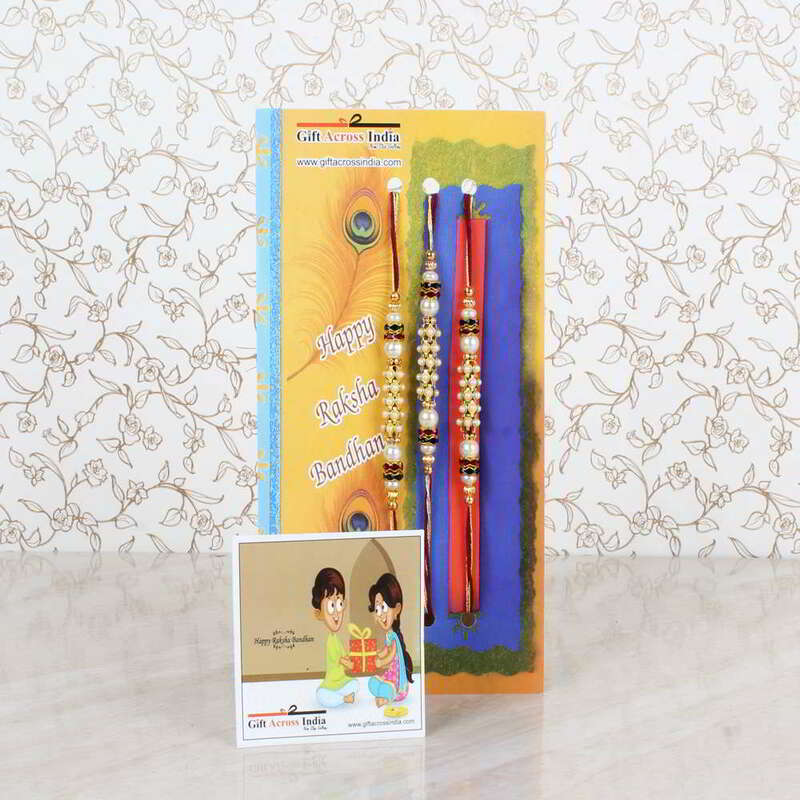 Gift your loved one this special combo which will bring spark to the celebration and will make the sister brother bond go to the next level. 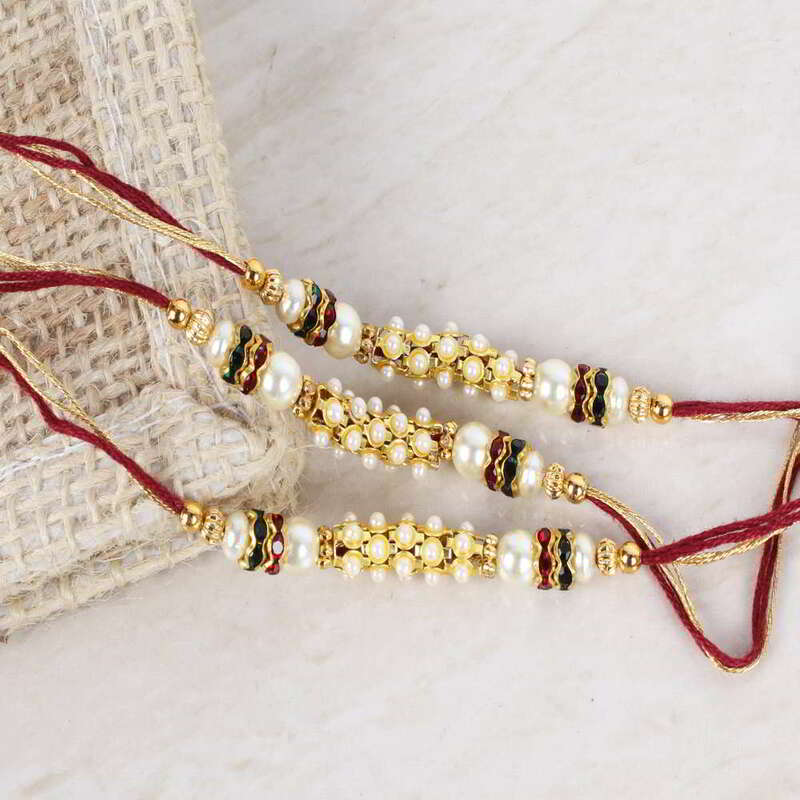 These beautiful Rakhis are tied on a designer card made especially for the occasion to give it a different and classy look. 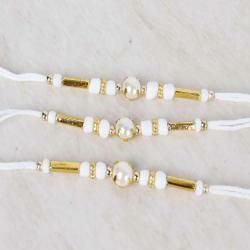 Product Consists: Royal Tiny Pearl Beads Rakhis Set of Three for Brothers nicely tied on a designer Card.